The Kiwi pulled away from Fabian Coulthard in the third and final stint to break the Ford Mustang's seven-race winning steak, the final margin back to Coulthard and David Reynolds more than 5s. The Red Bull Holden driver led throughout the first stint, however it took a while to shake Coulthard. 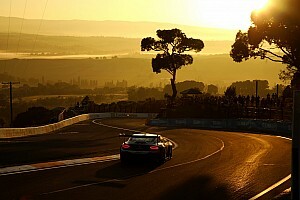 It wasn't until the race was 15 laps old that his advantage ticked over to a second, at which point van Gisbergen could pull away more rapidly. By Lap 20 the lead was closer to two seconds, van Gisbergen then almost three seconds clear by the time Coulthard made his first stop on Lap 24. Coulthard came out behind teammate Scott McLaughlin, who had pitted 10 laps earlier, but was quickly back into second thanks to his superior tyre condition. On Lap 29 van Gisbergen made his stop, coming back out side-by-side with Coulthard. The ensuing battle was won by the Penske Mustang, before McLaughlin got involved and tried to wrangle second off van Gisbergen. The pair staged a brief, spectacular arm wrestle over the position, van Gisbergen eventually getting his tyres up to temperature and taking back the spot. The brief distraction worked out perfectly for Coulthard, though, who found himself with a 2s lead. With five laps worth of tyre life up his sleeve, van Gisbergen quickly reeled the leader back in. And on Lap 43 he dived under Coulthard into Turn 6 to reclaim the lead. On Lap 55 Coulthard, sitting 2.5s behind van Gisbergen, made his second stop. The leader covered him off next time around, emerging with the same margin he'd had before the stops. He quickly turned that in an almost 5s lead, helped by Coulthard coming under serious pressure from David Reynolds in third as light rain started to fall. Coulthard managed to weather the Reynolds storm and bank second spot, but had no answer to van Gisbergen, who streaked to a 5.1s win. 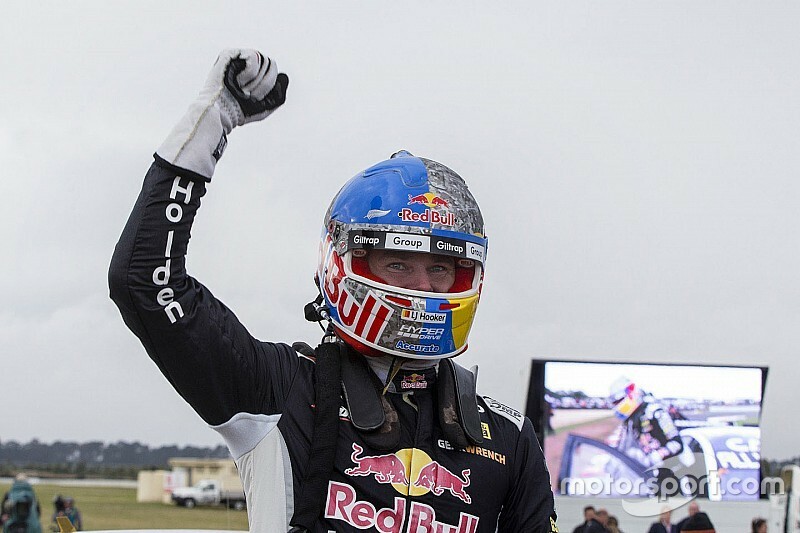 "It’s good to get one back,” said van Gisbergen. 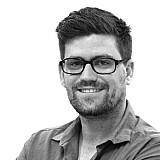 “Once our tyre life was good I knew I’d be okay and the team did a fantastic job in the pits. 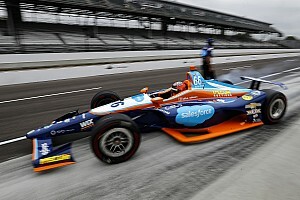 “We’ve made a huge step forward with our car." 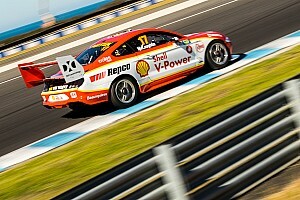 Points leader McLaughlin came home fourth, while Jamie Whincup recovered well to finish a fine fourth after starting 13th. Mark Winterbottom ran as high as fourth in the first stint but was ultimately shuffled back to sixth, followed by Nick Percat, Scott Pye, Lee Holdsworth and Chaz Mostert. 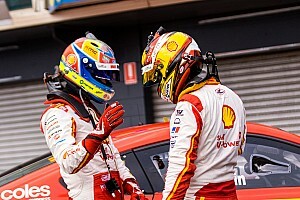 McLaughlin now holds a 124-point lead over Coulthard in the standings, with van Gisbergen moving into fourth, six points behind teammate Whincup and 160 points behind the leader.